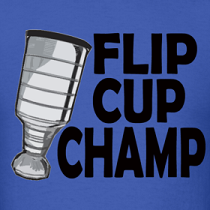 Dirty Dangle Hockey: Can Connor McDavid Complete The Comeback? Can Connor McDavid Complete The Comeback? When Connor McDavid broke his hand in early November he was on a tear of the OHL registering 16 goals and 35 assists in just 18 games. He was far ahead of the current OHL leading scorcer, Mitchell Marner, who had 32 points in 19 games played for the London Knights when McDavid got injured. 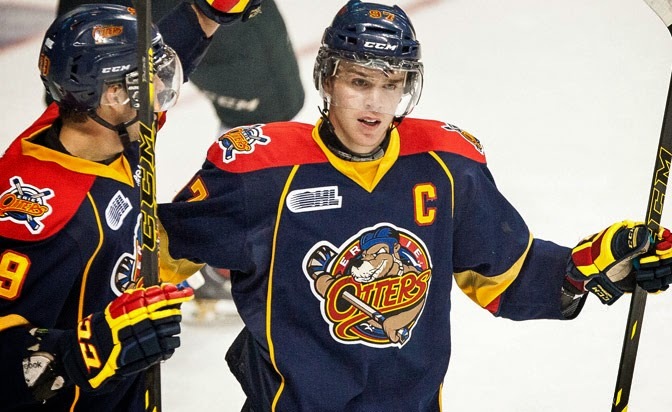 McDavid would miss 20 games for the Erie Otters - 12 due to the injury and 8 due to his selection for Team Canada at the World Junior Hockey Championships - before returning in early January to start an improbable comeback for the OHL scoring lead. It's shades of Mario Lemieux in 1992-93 coming back after missing two months to win the NHL scoring title by 12 points over Pat LaFontaine (but not actually because Mario had cancer and what he did was simply unbelievable). When McDavid returned in January he trailed Marner by 27 points who had heated up after a slow start and put together 70 points in 27 games from late September to when McDavid returned. Since January 8th when McDavid rejoined Erie the two have battled it out with McDavid cutting the distance between the two down to 12 points thanks to a streak that's seen him tally 23 goals and 56 points in 22 games since his return. That's 2.55 points/game and he's stepping it up even more with 9 goals and 20 points in his last 5 games played.